Trendy colorblock meets timeless stripes in this modern dress. 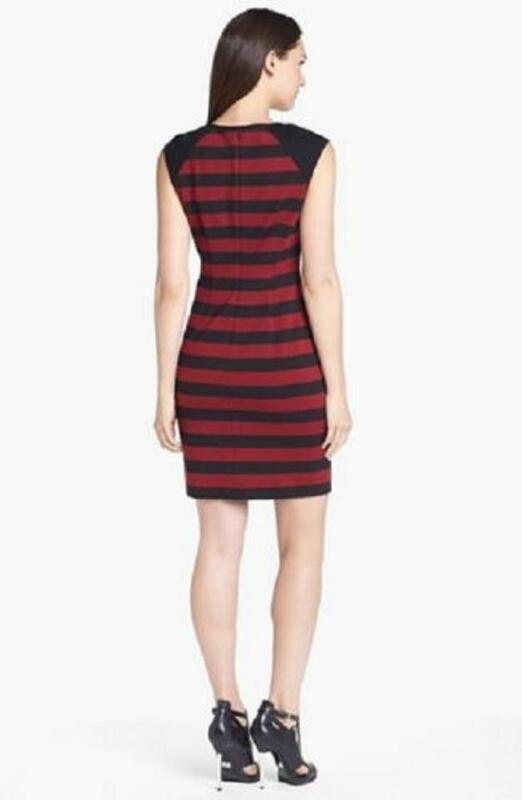 Solid panels at the shoulders and sides lend flattering shape to a striped sheath dress with a curvy silhouette. A desk-to-dinner favorite, this versatile dress offers understated elegance. Hidden back zipper with hook-and-eye closure . Striped panels at front and back; solid panels at shoulders and sides. Striped trim at neckline and cuffs . Armpit to Armpit: 18", Waist: 16", Hips: 19"
Shoulder to hem Length: 37"